In October of 2018, Bicom Systems opened up their new Canadian office. We have attended WISPA (Wireless Internet Service Providers Association) events in the past, like WISPAMERICA and WISPAPALOOZA. WISPAMERICA is dedicated to WISPs (Wireless Internet Service Providers) in America and WISPAPALOOZA is dedicated to WISPs worldwide. 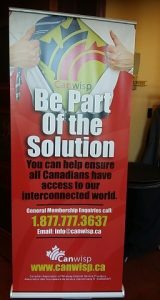 Even though this was not a WISPA event, we were excited to attend a conference that is dedicated to Canadian WISPs. Canwisp was a 2 day,1 evening event held in Ottawa, Ontario (the capital of Canada!). It is a relatively new show in the industry, with this year being their 7th year running. The conference had over 40 vendors, around 300 attendees and 100+ break out sessions. It was incredibly educational for not only Canadians in the industry but for Nothern American WISPs as well. Just like other countries, Canada has different rules and regulations for WISPs to follow. It was interesting to see the difference between legislation and to get educated on problems that some Canadian WISPs face in the industry. Another difference we saw was that some parts of America do not have to deal with the weather and climate changes that Canadians have. Equipment manufacturers for WISPs need to take into consideration the negative degree of Canadian weather. Outside equipment that would survive in sunny Orlando weather will not stand a chance during a -35°C winter day in Manitoba. Not only did we learn about laws, regulations, and policy, but Andrew Au was one of Canwisp’s Keynote speakers! Andrew’s topic was on “Understanding Millennials” and essentially how to sell to them. He showed a video of millennials in different scenarios and gave advice on how to engage with them. 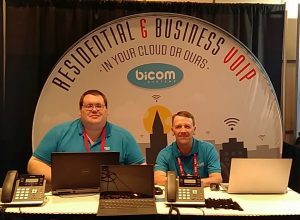 Although there were no information sessions dedicated to voice, Bicom Systems definitely sparked interest with the attendees. It was exciting to be ‘the new kids on the block’ and we are looking forward to exploring more opportunities in the Canadian market of voice. 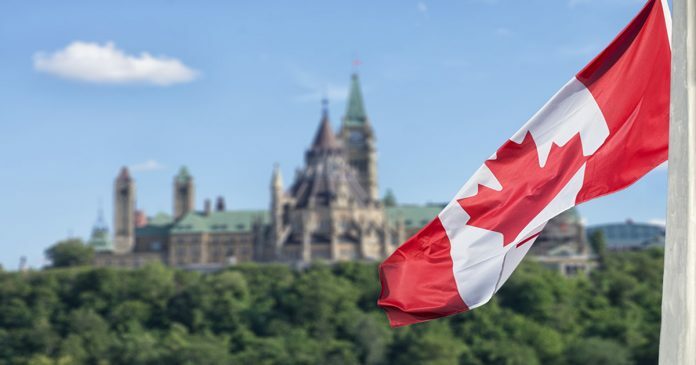 We cannot wait to attend Canwisp 2020 and more Canadian conferences that are geared toward WISPs and the telecommunications industry. Do you have any in mind? Let us know in the comments below! Where will Bicom Systems be next? We will be attending ITEX 2019 in Las Vegas, Nevada from April 24-25. Stop by Booth #727 to meet our team!